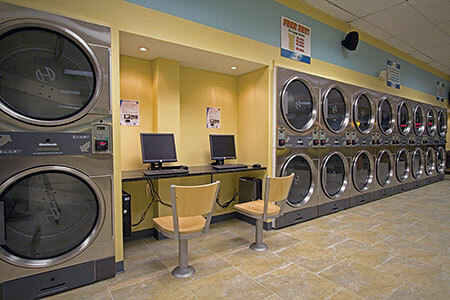 Among the amenities the Laundry Café provides are computers, which customers can rent while waiting for laundry. 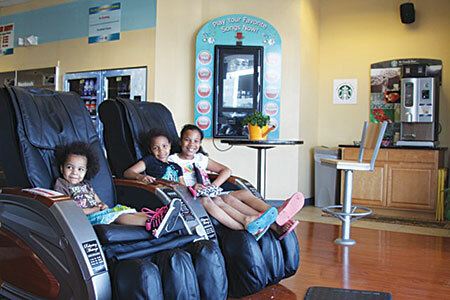 Customers can also relax in the laundry’s massage chairs and while sipping coffee from the Starbucks coffee kiosk. PHILADELPHIA — It doesn’t take much to touch people, extend a hand, or offer kind words, according to business partners Brian Holland and Tyrone Akins. So, when they launched their business plan to develop a chain of vended laundries, they also set out to serve and strengthen the inner city of Philadelphia—and that’s what they’re doing. In less than three years, they’ve innovated two laundries in the city—both branded The Laundry Café—dedicated to honesty, transparency and community improvement. Akins, who spearheads marketing efforts, harnesses social media, signage, loyalty-card promotions, radio ads, public relations and a solid web presence to garner and retain customers. In doing so, he reinforces a consistent theme of investing in the community and working to make it better; delivering “stellar” customer care and curbside assistance; and making it easy for customers to do their laundry. It’s all about the customer, according to Akins and Holland, who grew up in the inner city. “We see the challenges that plague the inner city and we want to address those challenges wherever possible,” says Holland. 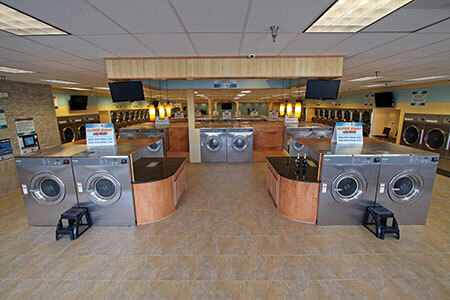 For this reason, The Laundry Cafés host a number of programs for area residents. “Family Night” encourages families to gather for free pizza and a movie on Wednesday evenings. “Honor Roll Sweepstakes” provides community youth who make the honor roll the chance to win prizes like an iPad, Nintendo Wii or Kindle Fire. The “Halloween Costume Showcase” gives local kids the opportunity to flaunt costumes and enjoy free candy, music and movies. Other programs, which are free and open to the public, focus on heart health, hypertension and breast cancer awareness, according to Akins. Even the songs played over the digital jukeboxes are positive and empowering—especially toward women, who make up 80% of the laundries’ customer base. For now, the business partners are excited about growing their laundries and bettering the communities in which they serve. “If we all realized how important it is to touch people’s lives in a positive way, the world would be a better place,” says Holland. Missed Part 1 of this story? You can read it now HERE. Haley Jorgensen is a public relations writer for commercial laundry equipment manufacturer Continental Girbau.